Our focus is helping the communities of the South Shore families achieve optimal health without dangerous drugs and surgeries. I have 3 children who have grown up with chiropractic as their primary, and so far only, form of healthcare. They are flourishing and they have never had a pill, potion, or lotion in their body. The body has a phenomenal ability to heal itself, we just have to let it! Chiropractic removes interference to the body’s healing potential, allowing it to function as it was intended to. This website is an example of our commitment to educate about the value of chiropractic so we can serve you better. 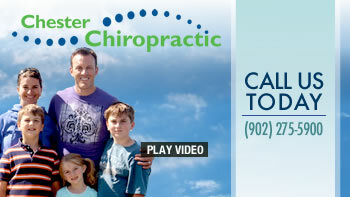 Please tour the site and I am sure you will find answers to many questions about chiropractic and natural health care. When you are ready to start your journey toward amazing health, call our Chester chiropractic to schedule an appointment. We look forward to serving you. Everything was great. Very informative, helpful and friendly. Very grateful to the practice for fitting me in so quickly after my call. Each visit has been pleasurable, despite my pain! Very hopeful you will be able to “fix” me over time, thanks again! The atmosphere of the office is welcoming and relaxed. Contact with canine therapist was comforting. Amazing… So glad we found Dr. Brad, our daughter has had headaches from age 9. She is now 14 and after one visit with with Dr. Brad she is headache free! Dr. Brad truly cares. I’d like to add that the staff are very helpful and friendly. They don’t rush you through. They make the time for any questions that you may have. I would encourage anyone that has a problem to drop in to see Anne and Dr. Brad. I feel like a new person since I’ve been going to Chester Chiropractic. You might be pleasantly surprised. A wonderful experience EVERY visit. I am very happy that I chose Chester Chiropractic. Dr. Brad helped me to better understand my condition and demonstrated that he really cares about improving my health.